After a day of de-wallpapering, boiling my head, running, and getting scratched to hell picking gooseberries for my mother (who knew gooseberry bushes had demon thorns?!) I am finally able to sit down and get the needles out, or I will be once I stop the bleeding. Whew! I am pooped and this pattern although utterly lovely is a pretty long pattern. 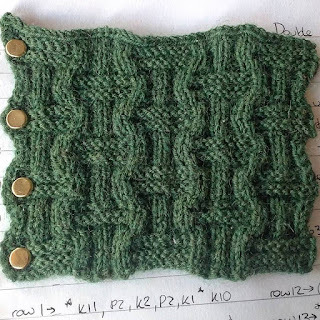 Do you like the appearance of cables but the idea of knitting them gives you the willies? 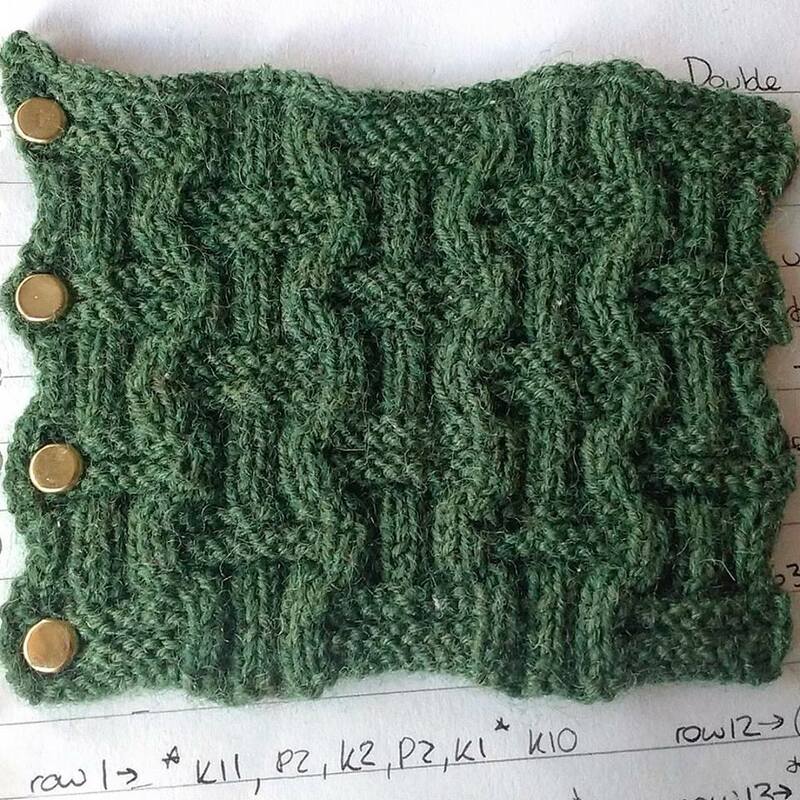 Do you need a pattern that's nearly as stretchy as ribbing but looks so much better? Do you want to impress people with your mad skillz while actually doing nothing other than knit and purl stitches? Well I've got you covered fam. 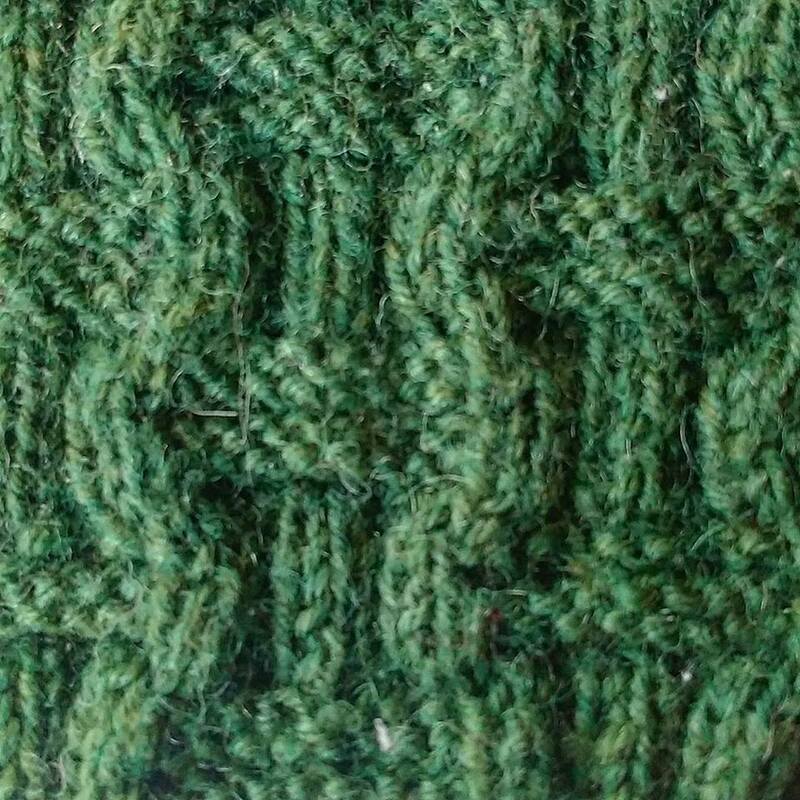 This natty pattern looks a great deal like cables! Those waving ribs? They're actually knitted straight and the wave is introduced by the purl welts inbetween the ribs pushing and pulling them in and out. This effect is further exaggerated by the third smaller rib interrupted by the welts pulling the other ribs towards it. The pattern naturally shrinks inward and thus has a LOT of lateral stretch, when pulled the pattern can stretch up to 30% larger horizontally (if left unblocked), It has some vertical stretch too but only around 5-10%. 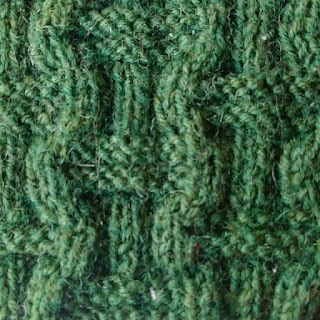 So as you can tell this pattern is very broad (hence the swatch is over ~50st rather than ~30st there are other stitches that require more stitches for the whole pattern, however once you learn to "read your knitting it is easy enough to edit the pattern to chop of the end rib for example. Whew! 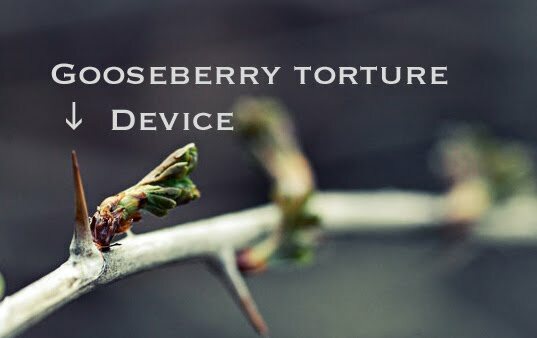 That was hard work writing out, and now all I've got to do today is wait for my pudding to set, (gooseberry fools yum :D) that is the last of the basket stitches for now, and it is a lovely one to end on. Happy Knitting!